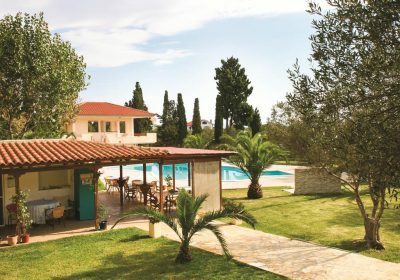 If you’re looking for a cheap holiday then be sure to check out the fab deals over at Jet2Holidays at the moment, like this cheap week in Kefalonia at just £812 for a WHOLE Family of 3, other party sizes are also available just adjust the search requirements to suit your needs. Set amongst peaceful gardens of olive groves, trees and flowers, the Helena Studios offer a great option for families and couples looking for a relaxing stay in the laid-back resort of Svoronata. The comfortable rooms have all the facilities you will need for a self catering stay, whilst the close proximity to the resort centre and local shops, bars and restaurants means you can make the most of the area. The Helena Studios have outstanding reviews on TripAdvisor and an average rating of 4.5/5 which you can check out HERE.